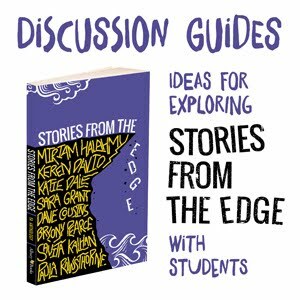 Stories from The Edge: WELL SAID MALORIE BLACKMAN! In a week when our children’s laureate, Malorie Blackman, received an outpouring of racist abuse after calling for more diversity in children’s books Paula Rawsthorne says that the haters have inadvertently helped to raise the profile of this important issue. Sky News was wrong and unprofessional to label Malorie’s interview with an inaccurate, inflammatory headline quoting her as saying children’s books “Have too many white faces”. Sky apologized and changed the headline to “Call for more diversity in kids’ books” but the damage was done and Malorie still received abuse on the Sky website and through twitter. What Malorie Blackman was saying was hardly radical or inflammatory and the subsequent abuse is a disgrace but it has led to more articles and debate about this issue and the widespread support for her reinforces to me that the haters are in a tiny minority. A call for more diversity shouldn’t be controversial. Of course we need to see more diversity and inclusion in books, not just in ethnicity but representing kids from all walks and ways of life. This isn’t political correctness, it’s just makes sense for stories to reflect the world around us and it’s only right that children get to see characters that they can identify with. I’m a white woman but in my books I have significant black characters. Why? Well, why not? I write contemporary fiction that reflects the society we live in, it’s been appropriate for my stories and yes, it does unsettle me that there are groups of children who don’t often see people like themselves represented in books. Although it’s great seeing diversity and inclusion in books it shouldn’t ever be about ticking boxes. The primary aim of a story is to entertain. ‘Diverse’ characters aren’t there to act as role models or teach the reader lessons. ‘Diverse’ characters should feel as real as any other creation in a book and that means that they should be an integral part of the plot, fully rounded and multifaceted, not caricatures or patronisingly portrayed as saints who can do no wrong. I once had a conversation with someone in publishing who was uncomfortable that one of the ‘baddies’ in my story happened to be black. She said that it could send out the wrong message. I was rather taken aback and pointed out that the main ‘baddie’ in the story happened to be a white bloke (and the ‘heroine’ happened to be mixed race). These creations weren’t ‘goodies’ or ‘baddies’ by virtue of the colour of their skin. Their actions and behaviour were character led, not colour led. It seems dishonest and unrealistic to portray any non-white characters as paragons of goodness for the sake of political correctness. When I look at my kids and their friends, their differences don’t seem to be an issue for them. The fact that they may be different colours, abled bodied or less abled bodied, religious or no religion, isn’t even commented on because it’s of little significance to them. They’re just friends with loads in common, having a good time. So how odd that when these kids pick up most books a proportion of them suddenly find themselves invisible. So I say, ignore the tiny minority of bigots who respond with abuse to calls for more diversity and inclusion in children’s books. What Malorie Blackman is asking for is just common sense; it will help stories reflect the world we live in and, in so doing, make it a better place for everyone. And well said, Paula! I great post. the more it's talked about the more ears may hear the call for more diversity. 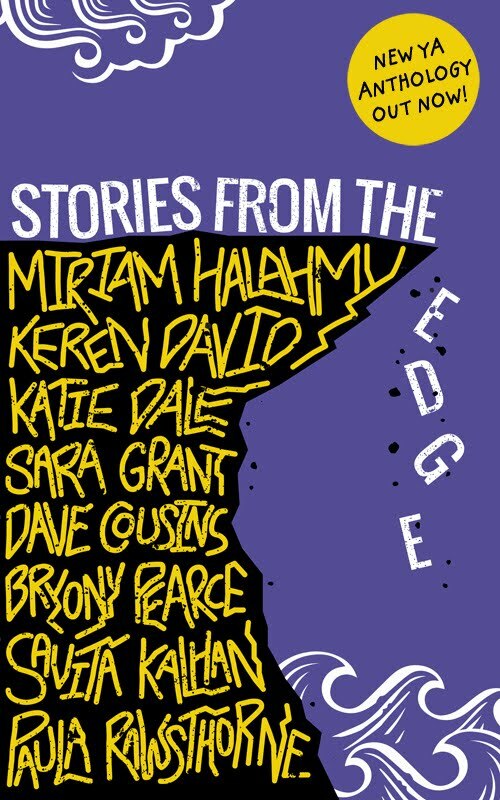 Edge YA Anthology OUT NOW! Welcome to the EDGE. We are a group of new and exciting novelists for young adults and teens, offering Writing Workshops, Readings, Author Talks and Panel Events (suitable for Year 7 upwards). We want to help young adults get reading, because our fiction certainly gets teens talking! All our books are different, but what they have in common are gripping tales with teenagers at their heart. In addition, we often find ourselves drawn to stories tackling difficult subjects that raise questions about the world and our place in it. 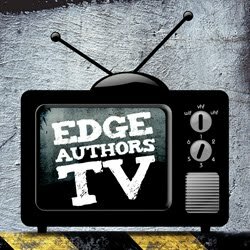 Please browse the site for more details, or to discuss a booking, email edgewriters@yahoo.co.uk. Thanks for visiting.